Welcome to Parish Hill and the 7th Grade Team page! We are so excited to work with Parish Hill’s new students during the 2018-2019 school year! Please check our page on a regular basis for important updates and information. Communication is key to a successful transition to middle school and we welcome feedback and questions from parents. Your child’s teachers should be your first avenue of communications regarding concerns at school. Challenges are to be expected and we look forward to overcoming them together. We are excited for a great year! Please read this article on ways to help your middle school student thrive in school. Parent involvement has been shown to be the number one indicator of a student’s academic success. Another great article about life in middle school is Ten Truths Middle Schoolers Should Know. There may be some talk about Parish Hill’s updated electronic device policy. Please see this article for more about teens and how the texting craze has affected reading. Please check out lexile.com for valuable tips on improving your child’s reading and helping him/her choose books with the appropriate level of challenge. Welcome to the Parish Hill Family! The 7th Grade Team has been awarded 2 $400 grants from the Wheels to Learning Field Trip Transportation Fund. The first grant is to be used for transportation to our Old Sturbridge Village trip on Friday, October 12th. The second grant is to be used for the field trip to Wadworth Atheneum Museum of Art in Hartford, Ct and the old State House on December 12th. More details will be following for this field trip. The 7th Grade Team of teachers are quite excited to provide these field trip opportunities to our students. The 7th Grade Team recently awarded quarter 1 awards. Congratulations to all students for a job well done! The 7th Grade Team of teachers is very, very proud of you. The trip to the Wadsworth Atheneum Museum of Art and the Old State House in Hartford is scheduled for Wednesday, December 12th. The bus will leave Parish Hill Middle School at 8 am, arriving in Hartford by 9 am, tours will be made for the Old State House, as well as Wadworth with lunch ending at the Old State House, and arriving back at the school at 2 pm in time for the buses. Due to the second transportation grant awarded to Mrs. Griffin for the 7th grade students, there is no charge for the students or the chaperones. The 7th grade team of teachers and the 7th grade students are looking forward to their next field trip! 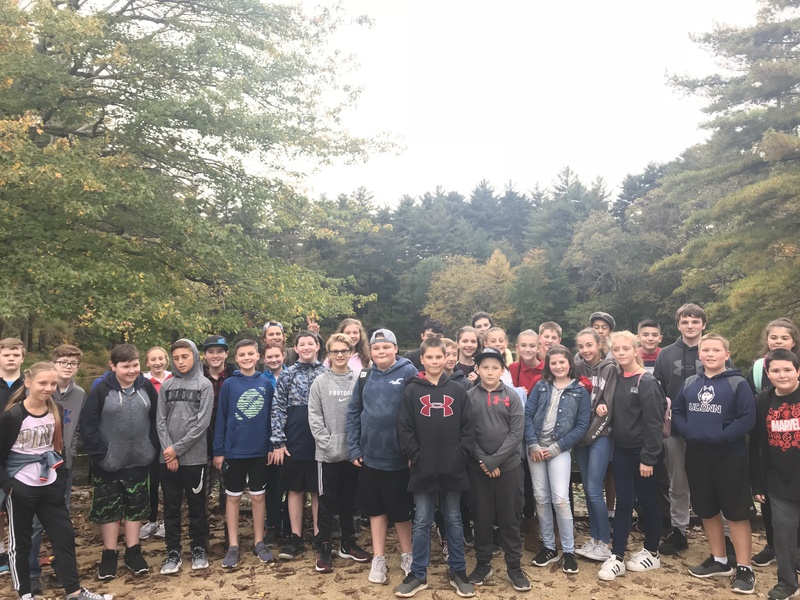 Seventh grade students will be going on a field trip to the Nautilus Museum in Groton, and Fort Trumbull in New London on Friday, April 12th. The bus will leave at 8 am from the school and will return at 2 pm at the school. There is no admission fee to visit these places. 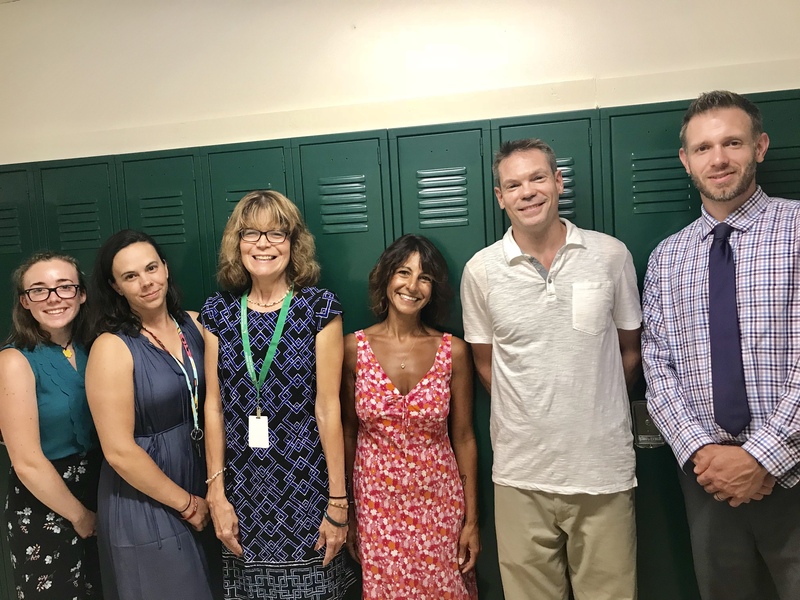 Mike McKenna-the school’s contact at Fort Trumbull is graciously having his staff come in specifically for the 7th grade students on that day. Normally, Fort Trumbull opens on Memorial Day week-end. Permission slips are due back to Mrs. Griffin on April 5th. The students are really looking forward to viewing the Nautilus submarine and learning about Fort Trumbull. A special thank you to Mrs. Griffin for arranging this field trip.